A limited number of tickets remain for our Valentine’s Day dinner train (train departs promptly at 5 PM). These tickets are not available online. To make your reservation, please call 1-800-626-0319 or 515-432-4249. These dinner trains feature our new menu for 2019: Ribeye Steak, Iowa Chop, Spinach-Ricotta Stuffed Chicken Breast, Honey-Chipotle Salmon, or our Homemade Vegetable Lasagna. 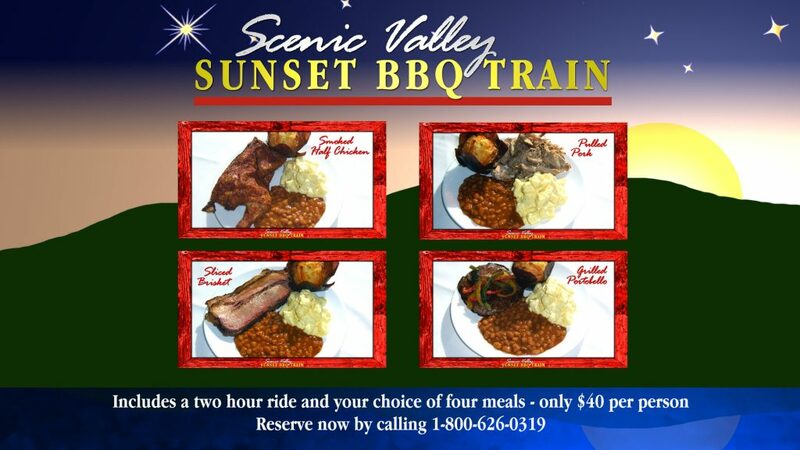 Tickets are $67.25 per person, and include your meal, and a 2+ hour ride aboard our historic 1950’s dining cars.